We have discussed the issue of trauma evaluation and treatment in various articles over the past year, but we have rarely brought up the issue of dental trauma. During the Vietnam war, medical personnel reported that there were as many dental issues presented at Sick Call as medical issues. In a collapse situation, therefore, we can expect a percentage of the Survival Medic’s patients to come with dental problems as well. Despite this, few people who are otherwise medically prepared seem to devote much time to dental health. Today’s dentists have high technology on their side, but this technology will not be available if things go South. Therefore, we look to historical methods of treating these problems. Although some of these methods may not currently be in use, they may suffice to at least temporarily deal with the issue in times of trouble. . Of these issues, some will be related to trauma. A tooth that is knocked loose but not out of its alveolar socket is called a subluxation. Lightly using your gloved hand or a cotton applicator should identify if it is loose and how much. Minimal trauma may require no major intervention. If a tooth is loose, it should be pressed back into the alveolus (socket) and “splinted” to neighboring teeth for stability. Dentists use wire or special materials for this purpose, but you might find yourself having to use soft wax if professional help is not at hand. Prevent further trauma by placing on a liquid diet (juices, jello) for a time, until the tooth appears well anchored. Soft diets (things like puddings or soft cereals) are also ok. 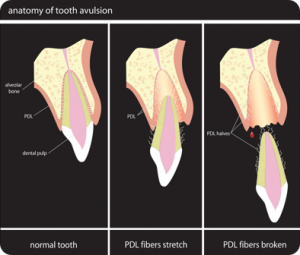 The most favorable situation when a tooth is completely knocked out (an “avulsion”) is that it came out in one piece, down to its root and ligament. In this circumstance, time is a very important factor in possible treatment success. If the tooth is not replaced or at least placed in a preservation solution, the success of reimplantation drops 1% every MINUTE the tooth is not in its socket. Pick it up by the crown, avoid touching the root as it will damage the already damaged ligament fibers. 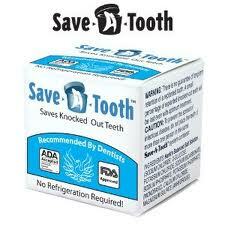 Flush the tooth clean of dirt and debris with water or saline solution. 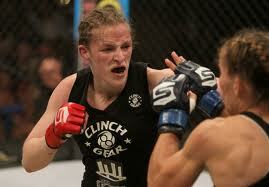 Don’t scrub it, as it will damage the ligament further. If you don’t have preservation solution, place the tooth in milk, saline solution, or saliva (put it between your cheek and gum, or under your tongue). This will keep your ligament cells alive longer than plain water will. You may have to soak the tooth for a half hour or so in Hank’s Solution before you replace it, if it has been out for more than 15 minutes. The longer you wait to replace the tooth, the more painful it will likely be to replace, so make sure you have lots of pain relief meds in your supplies. After a couple of hours of being out, the ligament fibers dry out and die, and the tooth is for most intents and purposes dead. Replacing it at this point is problematic, as the pulp will decay like all dead soft tissue does. This may cause a chronic inflammation; as such, the rotting pulp is usually removed in a root canal procedure by a dentist. The dead tooth then scars down into its bony socket, acting like a dental implant. This is called “Ankylosis”. This is part of the reason why you should not replace “baby teeth”, because the scarring process may prevent the permanent teeth from emerging. It’s important to know that, in mature permanent teeth, the pulp doesn’t survive the injury even if the ligament does. As such, without the availability of modern dental care to remove dead tissue, even your best efforts may be unsuccessful. Serious infection in the dead pulp often ensues, and your patient may be in a worse situation than just missing a tooth. Life with dentists may be unpleasant sometimes (root canals, for example), but life without dentists will leave us with few options in most dental emergencies. 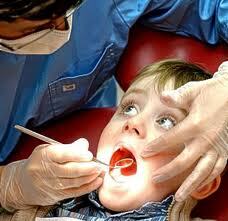 In most dental emergencies, we will have to return as tooth extraction as the treatment of choice. So, next time you see your dentist and he/she saves a tooth, give him/her a big toothy smile and say “thank you”! By the way, I am not a dentist, just an old country doctor. Ask you dentist, do your own research, and come to your own conclusions. Are you prepared to deal with medical issues if the SHTF and help is NOT on the way? With “The Survival Medicine Handbook”, you will be!